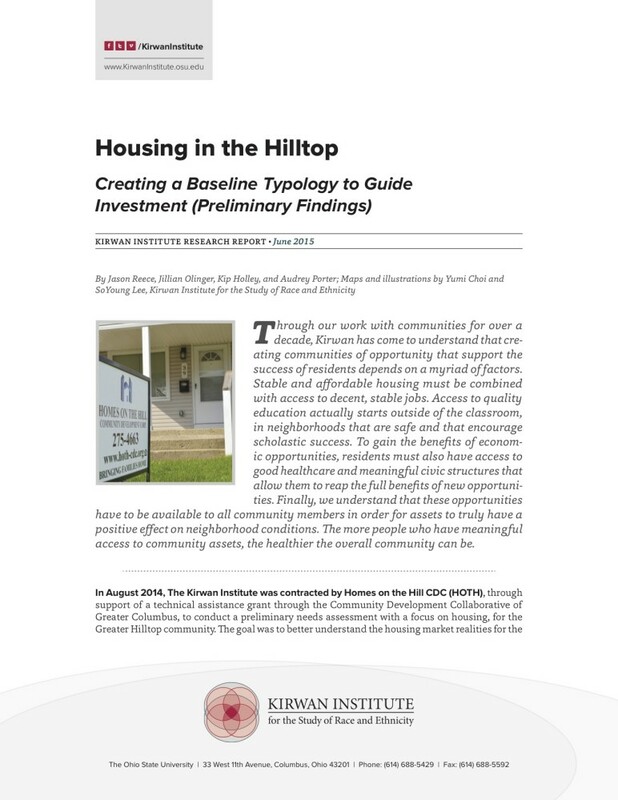 Creating a baseline typology to guide investment (preliminary findings). Through our work with communities for over a decade, Kirwan has come to understand that creating communities of opportunity that support the success of residents depends on a myriad of factors. Stable and affordable housing must be combined with access to decent, stable jobs. Access to quality education actually starts outside of the classroom, in neighborhoods that are safe and that encourage scholastic success. To gain the benefits of economic opportunities, residents must also have access to good healthcare and meaningful civic structures that allow them to reap the full benefits of new opportunities. Finally, we understand that these opportunities have to be available to all community members in order for assets to truly have a positive effect on neighborhood conditions. The more people who have meaningful access to community assets, the healthier the overall community can be.